Most hearing loss is caused by natural ageing of the tiny hair cells of the inner ear. While your ears are certainly the focus here at Audicus, they are certainly not the only ageing part of the body requiring more attention over the years. As these needs pile up, how will you need to be taken care of? Within 10 years, for the first time in human history, there will be more people on this planet aged 65 and older than children under 5. The Baby Boom of 1946-1964 has given way to the inevitable Elder Boom and we are completely unequipped to handle it. With the aging population rising at an astonishing rate (every 10 seconds, an American turns 65) and declining health care resources, we’re finding ourselves asking the question: how will the elderly be able to maintain a high quality of life as they move into their twilight years? Both in America and abroad, we’re facing an international crisis that we’re scrambling to solve. Many of these ageing citizens will be dealing with hearing loss, among other degenerative diseases, and the world of hearing loss technology will be racing to keep up. Furthermore, access to assisted living and disability care will have to be matched by trained workers that can provide these kinds of services and frankly, there’s just not enough worker supply to meet this growing demand. Because nearly 90% of Americans feel that institutions are not appropriate places for their aging relatives to spend their final years, Americans are hoping qualified home care can still be a viable alternative. The truth is, most of us want to live and age at home. However, with skyrocketing home-care costs and a dearth of properly trained elder care workers, the question remains: exactly how we can manage this? Thankfully, Ai-jen Poo, founder and CEO of the National Domestic Workers Alliance, is helping to address these growing concerns. In 2011, the Alliance launched “Caring Across Generation,” an initiative that addresses two intersecting major social issues: widespread unemployment and the impending need for care for America’s quickly expanding elderly population. So many home workers, initially hired as nannies and housekeepers, accidentally find themselves taking care of the elderly family members of their employers, often without any training whatsoever. Ai-jen had a solution: put a system in place that allows these home-workers to get the support they need and, in turn, encourages outreach to those that are unemployed (or starting their careers) to seriously consider home-care as a real career path. All of which would be able to give both the aging community (and disabled community) the kind of proper supportive that they need and create millions of good jobs in the process. 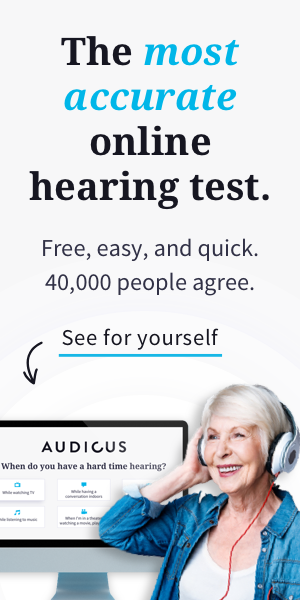 To the Audicus community and readership, we ask: how would you educate your family and friends on ways to better support your needs and disabilities, including hearing loss? We’ve recently partnered with Hearing Charities of America to give back to the community. We recognize that many people still are not able to afford the lowest priced hearing aids on the market. We are currently collecting used hearing aids that will be refurbished for low income individuals.